Chicken teriyaki is a favorite dish for family meals. It’s easy to cook, healthy and everyone loves it. 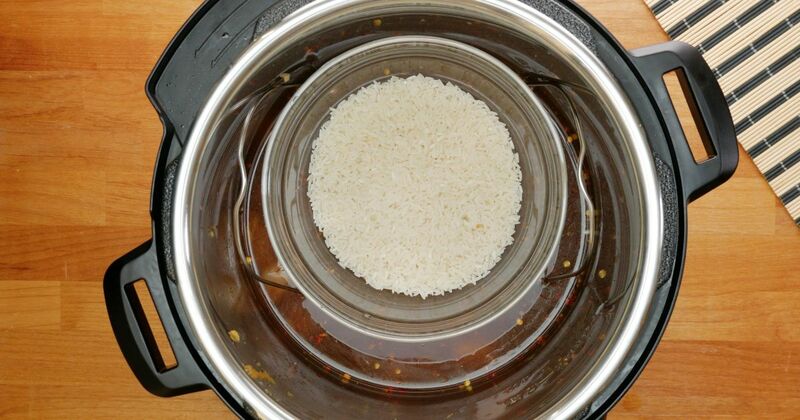 Making it in an Instant Pot makes it even easier. Even better, this recipe uses the “pot in pot” cooking method to cook both the rice and the chicken in the same pot. The chicken and sauce ingredients go in the pot first. Then the trivet or steamer rack is placed on top. The rice cooks in a heat-safe bowl or baking dish on top of the trivet. 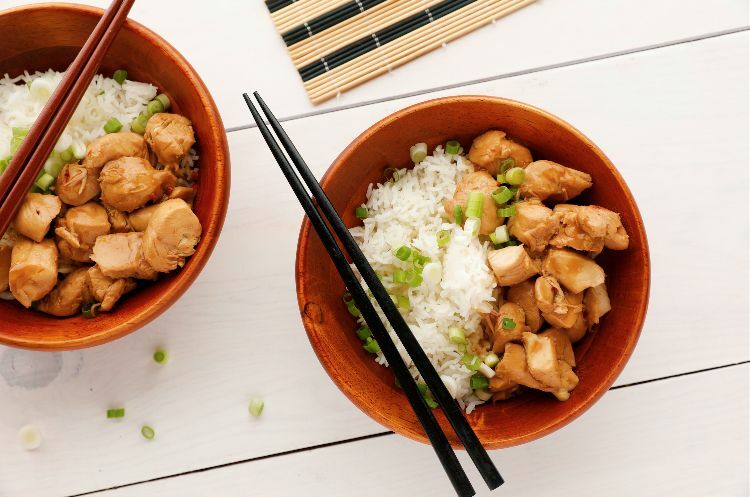 It’s like magic – rice and teriyaki chicken cooked separately but in the same pot at the same time. That means less hassle and fewer dishes to clean. And with the pressure cooker, it also means the meal cooks in less than half the usual time. In the Instant Pot, stir together the broth, hoisin sauce, soy sauce, honey, vinegar, garlic, ginger and red pepper flakes. Add the chicken and stir to coat well. Place the trivet in the pan on top of the chicken. To an oven-safe bowl or baking dish, add the rice and water and stir to mix. Place this on top of the trivet in the pot. Cover and seal the lid. Turn the valve to the sealing position, select high pressure and set the timer for 6 minutes. Serve the chicken and sauce on the rice, garnished with scallions.